Can anyone tell me about these? They read as they were "manufactured and distributed by p.t. indo semar sakti" and for sale in indonesia only, licensed through avex asia limited. They have AV then numbers for the label code and then a barcode. i know indonesia is still very big on cassettes, but wanted to know if these are for sure official? Some Asian territories had official cassettes produced. eneabba/nick's site documented a lot of the official ones... I think they were made up till the early/mid 00s? Secret looks like it had one. Yes, I think SECRET was the last one.... Just wasn't sure about them being official. Thanks! A BEST 2 as well. Man, those good old cassette days...no one releases music in cassettes today, right? It sounds weird for a 2006 album to be released on a cassette. Cassettes are coming back, though. Maybe not on a large scale, but some people are releasing them as a collector's item of sorts, similar to vinyls. Yeah, I miss cassettes too. Especially these days, where almost everything is digital. Yes, they are indeed official. I'm always on the lookout for Ayu cassettes but they seem pretty uncommon. These are amazing! Thanks for posting that picture. Now that you mention it...I have never seen a version of the I am... cover where her legs are visible. I've seen other shots from the booklet etc where you can see them and those tan boots she's wearing but never the cover shot! Can you take a picture of the back of "I Am..."
That is so cool! Here are the "I am..." scans from Discogs. which looks like the one I have... Notice something funny about track 7? Sometimes there are mistakes on official products. 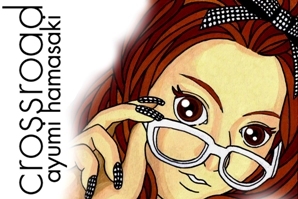 MY STORY originally had some wrong credits and often on Ayu's site, some English is questionable even though it is her official page. They are for sure the real deal.